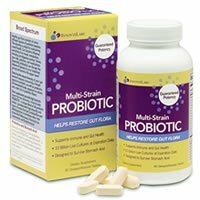 Overall, I gave InnovixLabs Multi-Strain Probiotic 3/5 stars. I think this probiotic is slightly above average and has some solid qualities to it. This probiotic is very convenient. You only have to take 1 tablet per day with a meal. I definitely like supplements that only require 1 daily, instead of a handful that you have to remember to take. This probiotic doesn’t require refrigeration so you can throw it wherever and not have to worry about it. It’s also gluten free, which is a huge perk because so many individuals are sensitive to gluten. 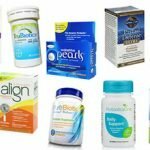 This particular supplement uses a patented delivery system called Bio-tract that protects the probiotics from stomach acid. Normally acid can destroy these delicate friendly bacteria very easily. However, this formula helps keep the probiotics alive and protects them from stomach acid so they can get to where they need to go in your digestive tract. This probiotic is also a good option for a specific ailment or short-term use. I was taking a round of antibiotics while using this supplement and I really think it helped combat the side effects of antibiotics. So I was very happy to be taking it at this time! It’s a very high potency probiotic and is formulated with 30 billion cells at the time of manufacture and guarantees 10 billion live cells by the expiration date. It also doesn’t use any artificial colors or flavors and is non-GMO. Now for a few concerns I have about this supplement. I was a little shocked when I saw how many strains were used in this probiotic because I’ve never seen once with so many before. 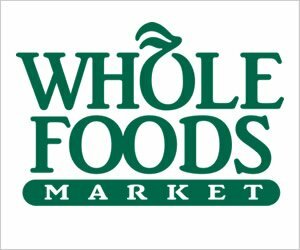 It has a unique blend of a whopping 26 different probiotic strains. Having this many strains may lead to potential side effects or even cancel each other out. I think it may go a little overboard, but it may help for a specific ailment like I mentioned earlier. Be careful of potential side effects such as gas, bloating, and slight stomach pain. Also, these tablets aren’t my favorite. I’m already not a fan of tablets and these ones are no exception. They start to chalk away very quickly and sometimes start to dissolve before you even swallow them. This was a nuisance sometimes. Be sure to take the tablet with enough water to help wash it down. Overall, I think this probiotic is better than average and may be a good addition to your daily supplement plan if you have a specific ailment and need something short term. 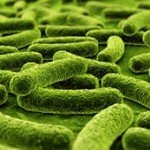 In each tablet of InnovixLabs Multi-Strain Probiotic, there are 10 billion cells in 26 diverse probiotic strains. I like that the company utilizes Bifidobacterium longum in this probiotic. This particular strain has been shown to have anti-inflammatory properties and may help ease seasonal allergies. Studies also show that it may help with upset stomachs, diarrhea related to antibiotic use, infections, weight management, bone health, and healthy cholesterol levels. Some research even suggests it may potentially be able to help prevent colon cancer. Another strain I really like in this probiotic is Lactobacillus acidophilus. This strain may help balance out the bacteria levels in the body, especially when the natural balance gets severely thrown off when taking antibiotics. Studies suggest that supplementing with Lactobacillus acidophilus may help treat yeast infections, lower the rate of urinary tract infections, and prevent traveler’s diarrhea. This strain may aid in relief of chronic constipation, lactose intolerance, and improving overall digestion. InnovixLabs Multi-Strain Probiotic has a few potential allergy concerns. It says it may contain trace amounts of milk, corn, and yeast. This is due to the fermentation process. 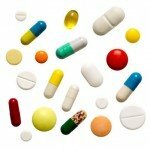 The capsules are free of eggs, fish, shellfish, tree nuts, peanuts, wheat/gluten, sugar, and soy. As a perk, it’s also free of artificial colors and flavors and non-GMO. It does say that it’s made in a facility and processed on shared equipment that handles dairy, soy, shellfish, and wheat/gluten. The company suggests that those who are extremely sensitive to those ingredients should consult with a physician before using this product. The other ingredients include: microcrystalline cellulose, hydroxypropyl methylcellulose, pectin, ascorbic acid, sodium carbonate anhydrous, vegetable stearic acid, guar gum, corn maltodextrin, and turmeric color. For $23.99, you get a bottle of 60 tablets, which will last you 2 months. Since you take 1 tablet daily, it works out to be a daily cost of $0.39. That’s very affordable and cheaper than average. I think it works out to be a great value for the price. I was happy because I didn’t see any side effects when taking InnovixLabs Multi-Strain Probiotic. I actually felt really good while taking this probiotic. I want to caution you though with this particular probiotic. With a whopping 26 strains, that definitely may lead to some potential side effects. Things such as gas, bloating, and stomach pain may occur in some people. So just be aware and ease into this probiotic if you’re concerned about side effects. Unfortunately, I couldn’t find any kind of guarantee on the InnovixLabs website. You might be able to get your money back if you bought it from another retailer such as Amazon.com. To buy InnovixLabs Multi-Strain Probiotic, click here.